A former chairman of the Confiscated Vehicles Allocation Committee, Carl Wilson has been speaking about the circumstances surrounding his dismissal in 2010. He blames Mr Koku Anyidoho, the then Director of Communications at the Presidency, for instigating that move without the support of the late President J.E.A. Mills. According to him, it was Koku Anyidoho, who instigated his dismissal quite against what President J.E.A. Mills would have wanted. 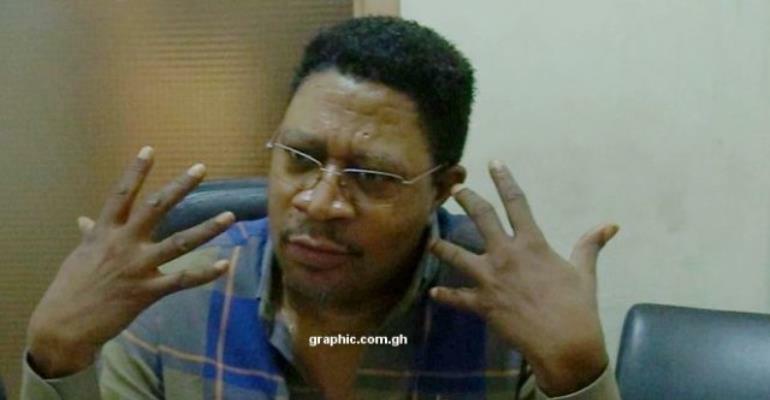 In an interview Tuesday, Mr. Wilson said Mr. Anyidoho instigated his removal following agitations by some National Democratic Congress (NDC) members and some other persons whom he said were engaged in corrupt activities at the port. He said President Mills was never in support of his removal from office. He explained he was supposed to operate from the presidency but chose to be at the port so that he could properly monitor activities at the place, a move he said was approved by President Mills. According to Mr Wilson, when the office was moved to the port, it collapsed many fraudulent businesses. "People who were enriching themselves all of a sudden saw their businesses collapse. Nothing was working for them so they will do anything they can to remove you," he said. He added, "they [people he described as a cabal at the port] told me, you won’t last for three months and I lasted for more than a year and over." Mr Wilson said he was even threatened by some of the mafia groups operating at the port which compelled him to improve on his personal security. “I got armed and trained because I wanted to clear the mess at the port and I was threatened by the mafia group who have been operating at the port to enrich themselves at the expense of the state,” he said. He explained that his strictness at the port forced some people to seek refuge in some political powers which led to his removal. "Even removing me (from the office) was not by the president. It was by Koku Anyidoho who bowed to the pressure from the party to say Carl Wilson had to go and he announced it. The President refused to remove me. They went to him many times and he said no, the guy is doing his job,” Mr Wilson explained. According to him, President Mills asked them (those who accused him of wrongdoing) to bring evidence against him and that the president found no incriminating evidence against him. He said the President called him and said "my son this is the so-called evidence they brought. Go and continue your work”, adding that even when the announcement of his removal was made, the president refused to let him go but he (Carl Wilson) had to plead with the President to let him go.